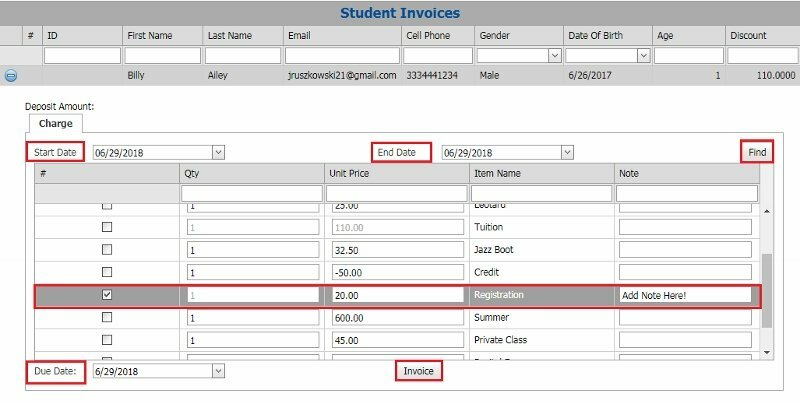 Creating an Invoice from the Student Grid. You can now create an invoice from the student grid. Search for the student by the last name. Click the Invoice link (blue). Frist, enter the Start and End dates and click Find.